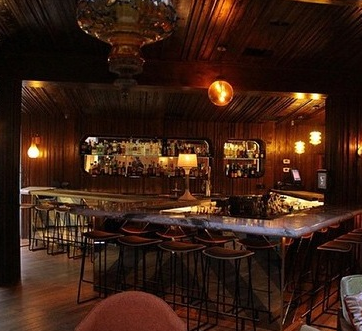 If you’ve been out in Los Angeles, chances are you’ve been to one of his venues. You may have even seen him, but you may not have guessed. Why? 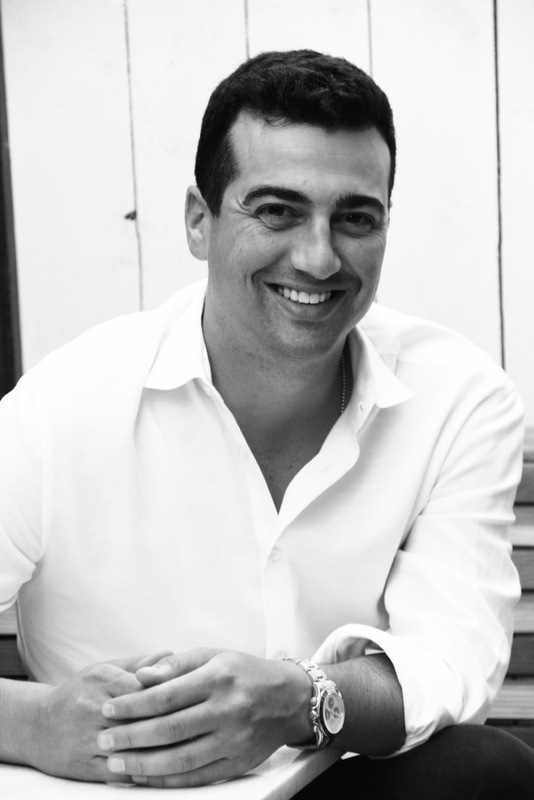 Because John Terzian isn’t the stereotypical nightclub owner. He’s not loud or flashy or begging to be the center of attention. He’s usually going from table to table to visit friends and make sure everyone feels welcome, checking his phone to help make sure everyone has a great night (even if they’re not one of the celebrities that frequent his spots) and watching. John lets his venues speak for themselves and prefers the focus to be on the flow of the room and having a great time. 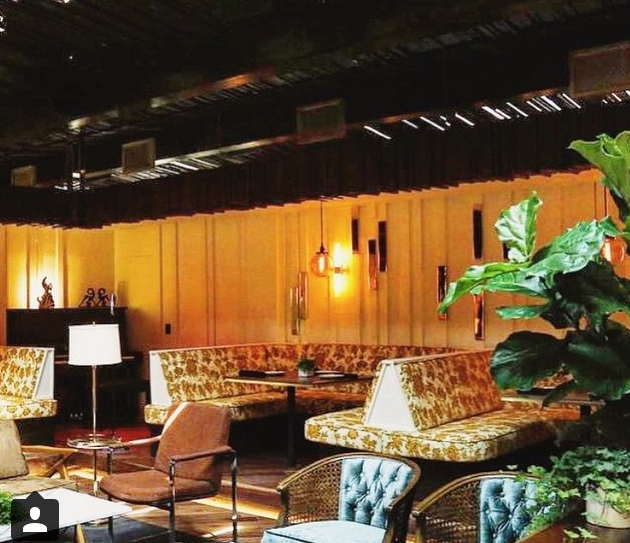 John and the team at the H.Wood Group have had success with venues Las Palmas, Bootsy Bellows (LA & Aspen), SHOREbar, Hooray Henry’s (shortened to Henry’s after a remodel), The Nice Guy, Blind Dragon, and Heart of Omnia in Las Vegas. So what do all of these places have in common? What is his “secret ingredient for success?” The sophisticated style that John brings — they’re well thought out, the type of design that doesn’t look designed. Stylish but not fussy, and that reflects John as a person. Luckily, John carved out some time to talk to me about what inspires him, his own experience with DIY, his formula for making his venues a cut above the rest, and the unexpected places he’s started designing. RR: When did you become interested in art and design? John: I probably started drawing when I was 5 or 6. I would draw on the walls, like figures and everything, and ironically it’s what I’ve stayed with my whole life. My specialty was portraiture. And design, the part I’m interested in, is very art related. Like when I see a room, I kind of see each place as a picture, and then filled with people, it’s even better. That’s where my whole love of the design world comes from– my love of art. RR: Didn’t you get into college for art? John: I did but I didn’t end up doing it because I didn’t think I wanted to be an artist for a living. But what I do now combines both loves– business and art. I got into Michigan, USC, and Otis for art. My high school had an amazing special program for art. All I did my junior and senior year was art and art history. I ended up visiting Michigan, their art program is amazing, and I ended up going to SC and not doing art. Even to this day, I still do it on the side for fun. It’s almost like a relaxation thing for me. RR: Have you always had a part in designing your venues? John: When I started my first ones, obviously, you have very little budget and kind of do things yourself. It’s a major reason I got into owning places– because I love taking a space (venue) and changing it into something else or creating it brand new. Whatever it may be, it’s all considered art to me. I don’t think I’d ever consider myself a designer. I pay extra attention to details of things, and that’s kind of where you separate yourself in my business. In the last 4 projects that I have, I’ve worked with a great designer/ builder, John Sofio at Built. We kind of collaborate and it is a great working relationship. 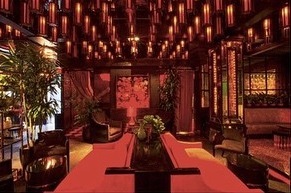 Our first project together was Bootsy Bellows then we went on to do SHOREbar, Henry’s, and Blind Dragon. And then we went outside of my venues– we did a gas station on Sunset and we’re designing one on Lincoln now. Tables at SHOREbar. I love this photo! RR: Gas stations are pretty unusual for someone who owns nightclubs and restaurants to work on. How did you get involved in designing gas stations together? I love old general store/ gas station pictures. It’s very Americana, think Texas gas stations. His station is on PCH directly across the street from another gas station. 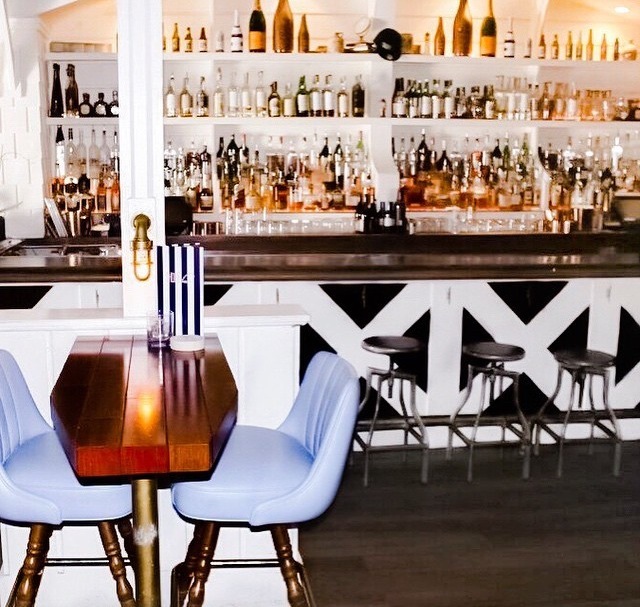 So I thought, why don’t we design it kind of like we did SHOREbar, a Nantucket style. It took months of convincing him, then you’ve got to convince the gas station company. Then you have to submit all of these renderings. So John (Sofio) and I created it, and it does significantly more business now. It does 20% more sales after the redesign. RR: How was doing the gas station different than a club or restaurant? John: Overall pretty similar. 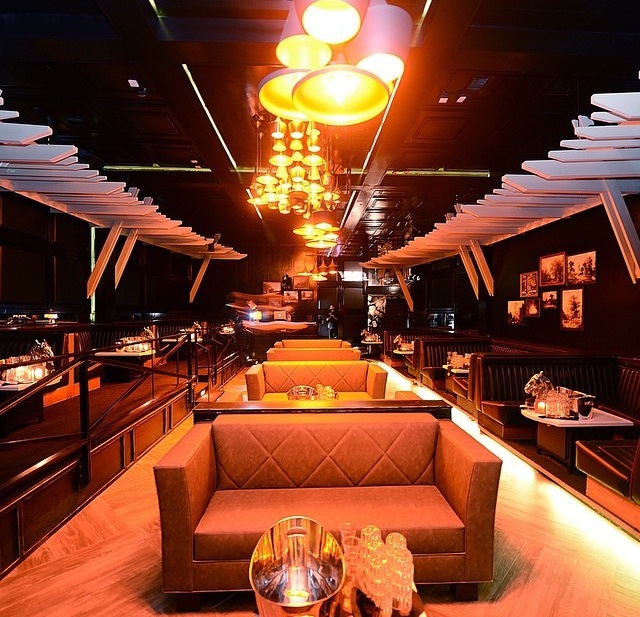 The major difference it that a club or restaurant has a very specific need, which is a major part of where I come in (and why I couldn’t feel comfortable having a designer design a place and I just come into it) because these places take on a life of their own. You have no crystal ball, no way of knowing where people will gravitate to… what seats will do well, or how the lighting works. You have nothing until you open it. So you have to be flexible and have the space ready to adapt and tweak … that’s the major difference in designing a space, it is what it is with a gas station. It looks great, it’s good, you don’t have to worry about how the crowd works in there. That’s where a lot of places go wrong. Just because you hire a designer doesn’t mean the place is going to look right. It might look right on paper, it might look right on a rendering but every single place where I’ve opened, especially the ones that are the last couple of years, the designing isn’t done until at least a month in. Like we are well into the Nice Guy and we’re still tweaking it. That’s how you should do it. The Nice Guy. I love the vintage fabric covering the booths! RR: Have you had any big design mistakes or do you wish you’d done anything differently? John: The original layout of Hooray Henry’s. A big part of what I do (my part design-wise) is that I anticipate the flow of people and the flow was horrible in there, which is why we changed it all. That was probably the biggest mistake I’ve made. There was also a mistake at Las Palmas. I’m a big believer in having different levels and Las Palmas was all flat surface– no step ups, nothing. RR: Can you tell us about your DIY experience? John: I was really hands on with everything at Las Palmas, but I’ve done something in each place on a do-it-yourself level. I’ve painted walls, I’ve wallpapered even. I wanted to have a cluster of lights like something by Julian Schnabel in Las Palmas. I recreated that out of, I think,100 light bulbs from Home Depot and other Hardware shops. I got the bulbs and was hanging them from the ceiling and had to put it together at the top. It was a nightmare. It was probably an electrical nightmare, but it worked really well. The bar at The Nice Guy. No electrical nightmares here! John: Before even opening Blind Dragon, we did the entire center furniture twice. I wanted to create a hotel lobby like seating where it is two couches back to back, so I had to have them made and they turned out horrible. They got brought in, and it took up the whole room, they were the wrong color, the fabric was wrong. Big disaster, we had to scramble. I’ve had a million disasters. Also, I tried staining cement and it wouldn’t take. It turned the cement from black to where it just looked like mud. It was weird. The main room at Blind Dragon. 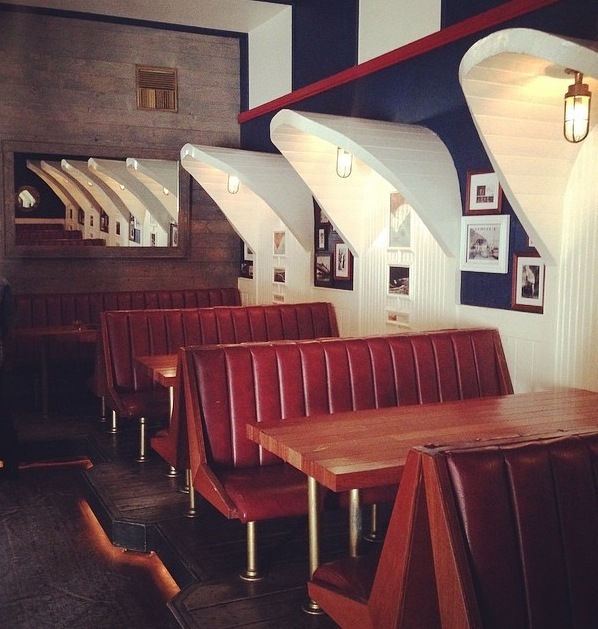 Looks like they got the booths fixed. The ceiling is incredible. RR: Who or what is your biggest inspiration? John: Film and music videos. All types. I get a lot of inspiration from music videos because music videos are predominately run, especially now, by upstart artists and directors and peole who are hungry to make a name for themselves, so they do very cool artistic things. Some of the most prolific set pieces come from people who are doing music videos, then they go on to be big directors… for that moment, they’ve done an amazing thing. People who are hungry. Cool art. 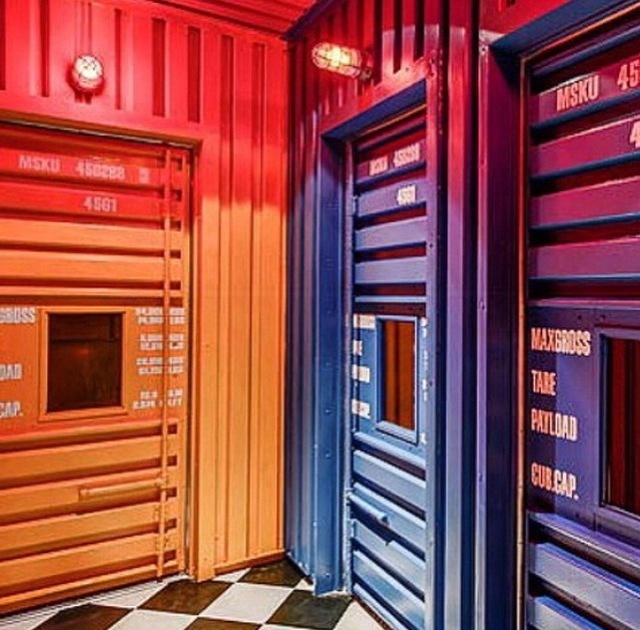 Speaking of music, this is where you enter the private karaoke rooms at Blind Dragon. RR:What is your favorite thing (item or detail) of any of your venues? John: My grandma’s key collection is in the member’s section of SHOREbar. It’s an amazing collection. 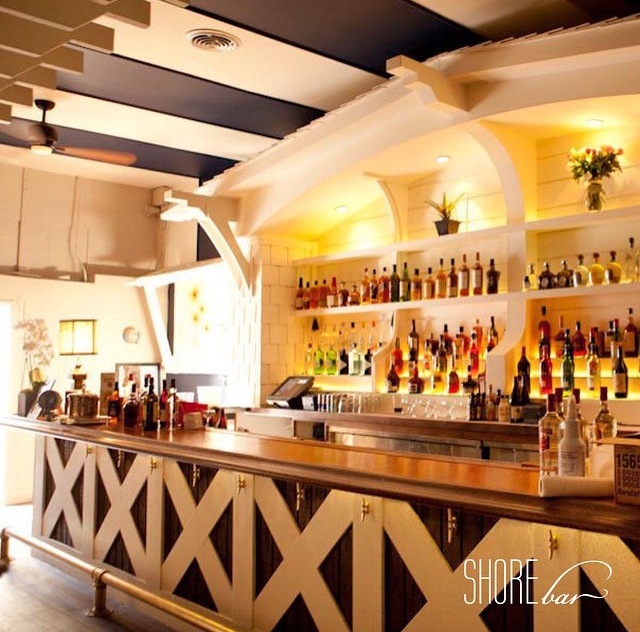 View of the bar at SHOREbar. RR: What is your design pet peeve? John: Anything contrived. I even find myself doing it, and when I do, I have my own pet peeve on myself. A contrived designed look. If it looks designed, I hate it. If it doesn’t come off natural, I hate it. I’m crazy about it. I have a lot of pet peeves, but that’s the main one. John: It’s more simple, a lot cleaner. I’m assuming that will change, too, because everyone goes through periods, but if I had it my way, I would have a room with one chair in it right now type of thing. I’m sure that will change because I used to like the opposite– very stacked. RR: What is the first thing you notice when you step into a space? John: Lighting. Pockets of light– good or bad. And Corners– if they look unfinished or sparse in a bad way. RR: Advice for someone starting out on a project? John: Don’t listen to anyone. If you love it, you just do it. When there are too many opinions, you’ll never get it right. What I do is I design the thing and I do it. I can kind of do that now, I used to not be able to. Then we take in opinions and change and modify. That’s always helpful. But if you start out and you have 50 opinions and 50 ways of doing something, it’s a disaster. If you have the eye and you really love it, you’ve gotta kinda do it, and you have to have the stomach to do it. At dinner with John and his fiancé at The Nice Guy. I had a great time interviewing John and hearing about his take on style, inspiration and what makes a place successful. His venues reflect his philosophy: they feel effortless chic, they are stylish but not fussy, and that allows everyone to relax and have fun. No wonder they are so popular! Be on the lookout for the many exciting things coming soon from John and his team! Photos from H.Wood Group or personal. I love the Nice Guy! Wow thanks for great article & interview. I’ve been to shorebar & bootsys a few times and couldn’t agree more that John & his team do a great job with not just service, but also great food and drink. Any updates on how the recent Hakkasan purchase of majority shares of hwood has affected all ot those pending lawsuits against the clubs? Just curious how a takeover by a bigger company effects both the few dozen employee lawsuits for unpaid overtime, waiting time, sexual harassment, labor code 350(e) violations are handled by new ownership, nevermind the other lawsuits.